I thought I got Madonna’s bra in my farm box. 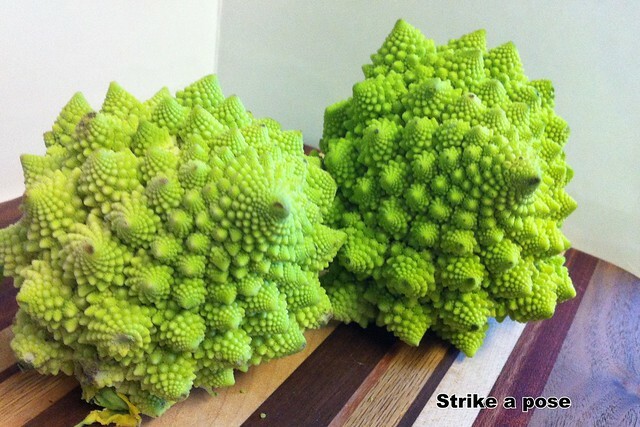 Turns out it’s called romanesco. California likes a little booze in their treats: Not sure about the beer infused ones, but the wine infused chocolates sound nummy. Canada gets ketchup flavored Popchips and Nashville gets a donut food truck. Why didn’t I think of this? Save time preheating your oven by turning on the broiler first. Men’s Health has this and 20 other handy kitchen tips. that’s funny about madonna’s bra. and also good to know i can eat walker’s shortbread with abandon and feel virtuous the entire time. i like it when eating and virtue are connected somehow.